It's fun. It's sociable. And it is an excellent aid to weight loss and getting fit. Dancing has it all, and whether you're a beginner or an expert, have a partner or don't, Sandham's Dance Studio has something for you. Their new range of classes incorporate a huge range of styles from a plethora of genres, all taught by instructors of the highest standard. Even those who weren't even blessed with the misfortune of two left feet will soon be gliding around the dancefloor to raptuous applause. A class based on partner rotation, Sandham's Single Dance Class allows you to practice a range of techniques from lots of different styles with a new partner every week. This not only keeps things fresh, but it also introduces you to a whole new group of people. Dancing is, often, all about having the perfect partner for you, so allow Sandham's to find them for you. A dance class dedicated to Latin Line dancing, this class is perfect for those that don't have a partner. Again, you'll meet new people whilst learning a new style of dance and keeping fit and healthy. Sandham's are combining the latest craze of dancercise with the best boybands ever for their Boyband Workout Class. The Backstreet Boys, N'Sync, New Kids On The Block, Boys II Men, all great bands, and you can dance away, knowing that you're having fun and getting fit and healthy. Immortalised in the late 50s / early 60s thanks to Chubby Checker and 'The Twist', Rock 'N' Roll has always gone hand-in-hand with dancing, from the slow dances to the quicker Jitterbugs. 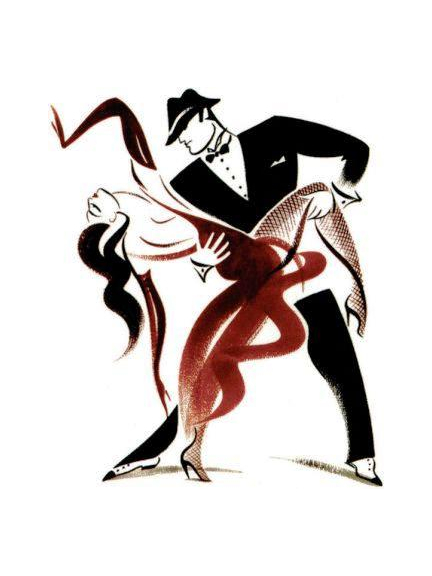 Argentine Tango is danced in an embrace that can vary from very open, in which leader and follower connect at arms length, to very closed, in which the connection is chest-to-chest, or anywhere in between. Tango dance is essentially walking with a partner and the music. Want to dance without any of the pressure to perform? Then social ballroom is definitely for you, even if you've done it before. Dancing to the Waltz, Foxtrot or Jive, you can have fun, get fit, and just enjoy the dancing side of things. Highly popular throughout the World, Latin dances are known for flair, style and sensuality. The Salsa incorporates all of this with fast-paced music to create movement unique to the genre. If you are interested in and would like to take part in any of these classes, then get in touch with Sandham's Dance Studio. Enrolment is necessary, but you;ll wish you had done so sooner. Sandham's Dance Studio are based locally in Bolton and offer a wide range of classes for both adults and children to get involved in, all taught to International Dance Teachers Association standards.